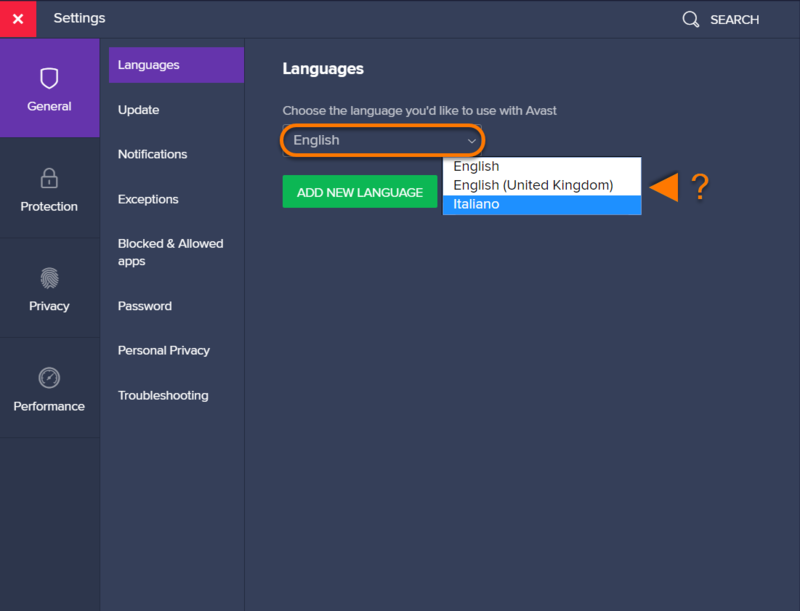 Avast Antivirus supports several languages. 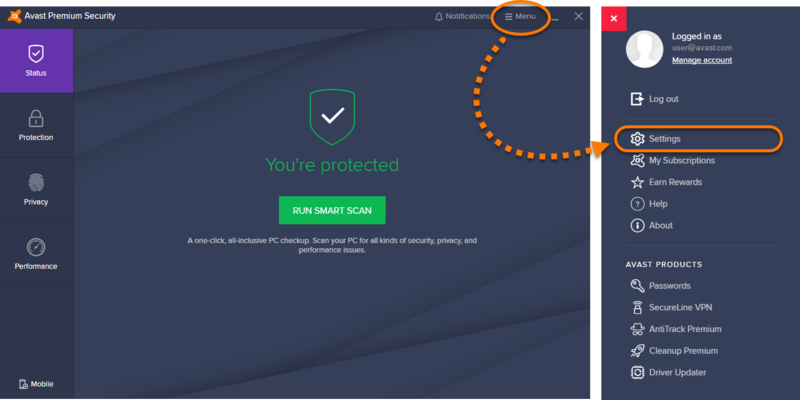 You can change the Avast user interface to your preferred language via settings. You need an internet connection to download and install any additional languages. Ensure the General and Languages tiles are selected. 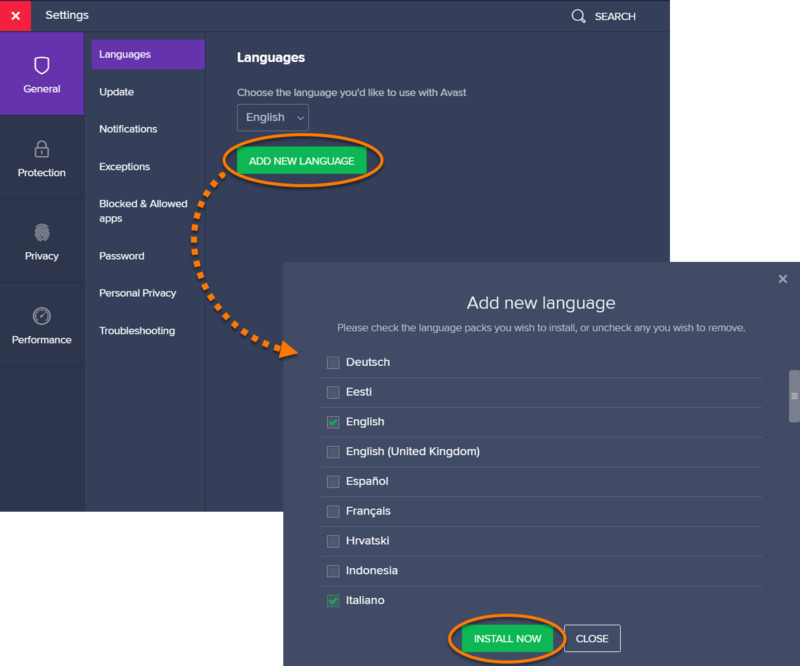 If you have already installed your preferred language, go to step 7. 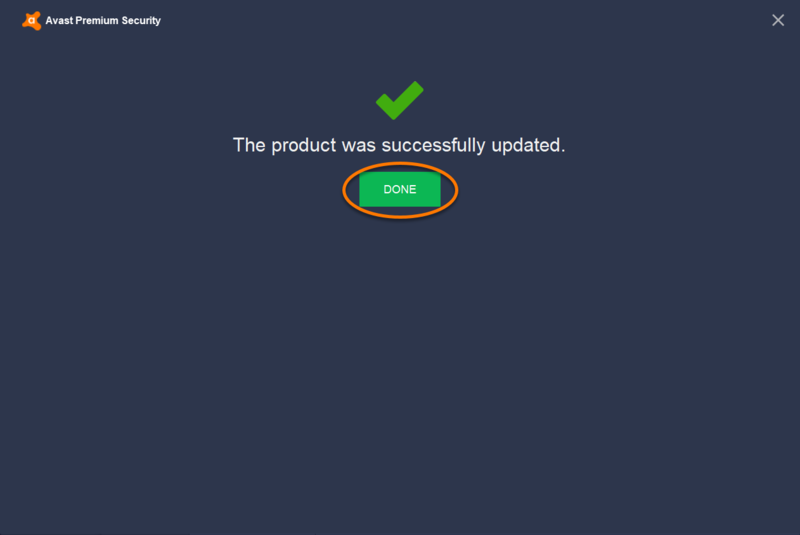 Click Add New Language, tick the box next to each language you want to install, and click Install Now to confirm. 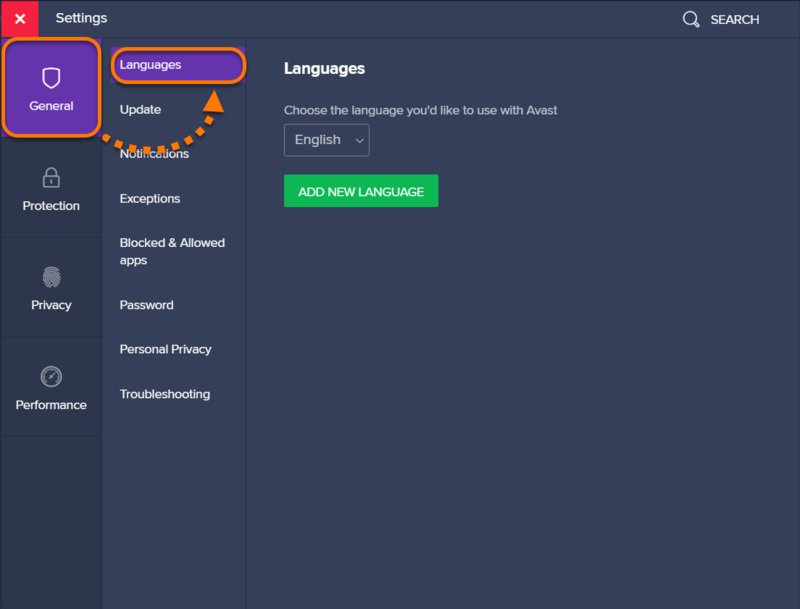 On the General ▸ Languages settings screen, click the drop-down menu to select your preferred language. Your new language is now applied. 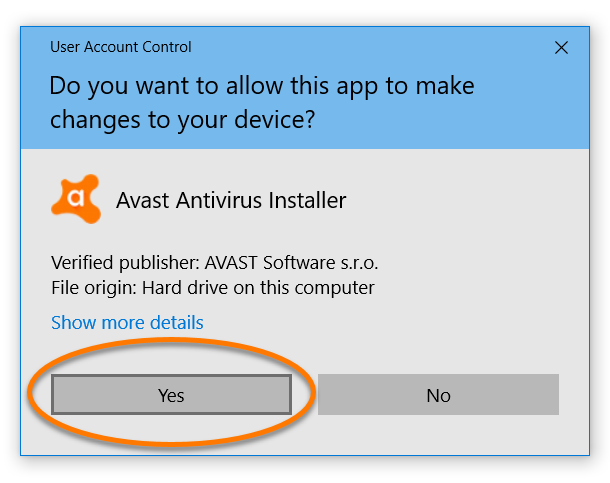 If it does not change immediately, close and re-open the Avast user interface.